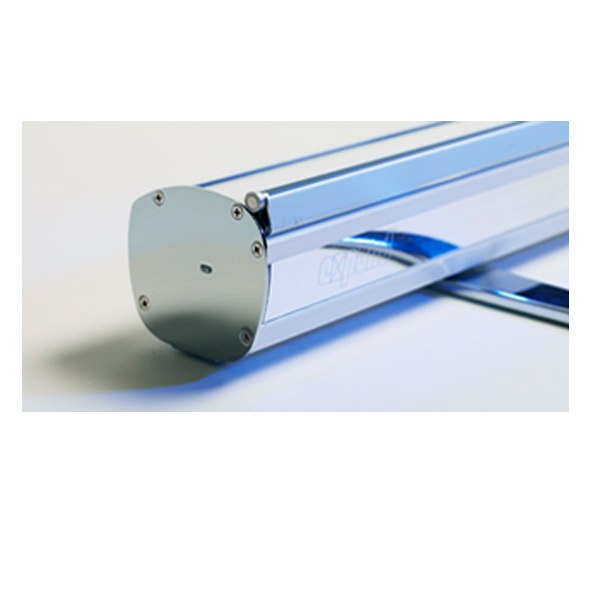 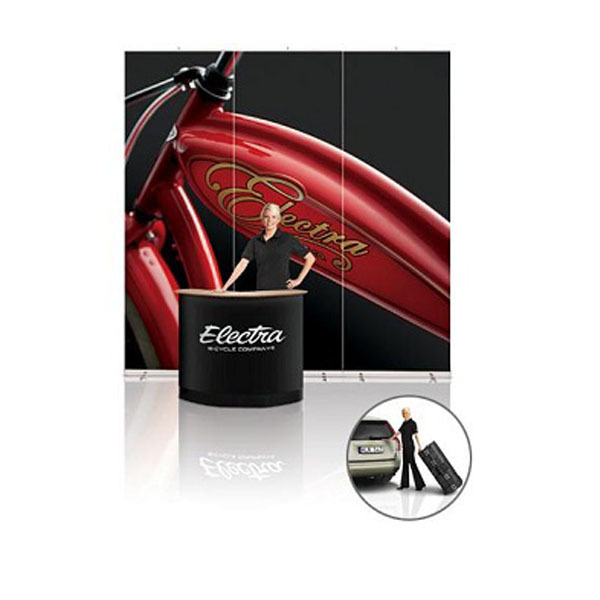 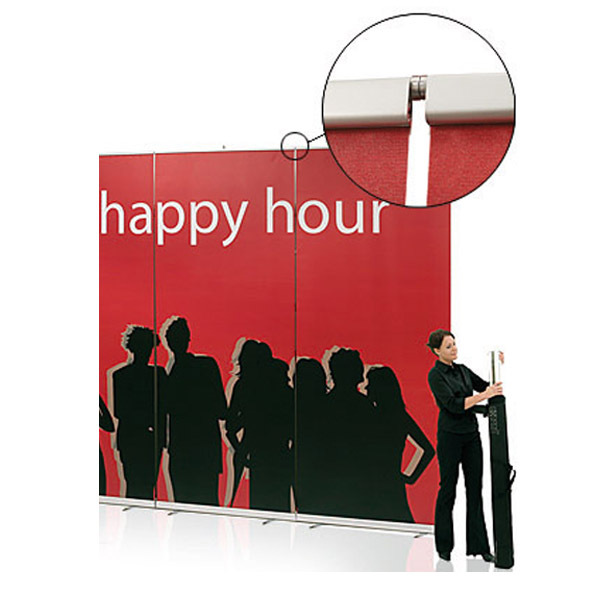 Expand QuickScreen XL is a retractable display that is 1.2m wide and can be up to 3m tall. 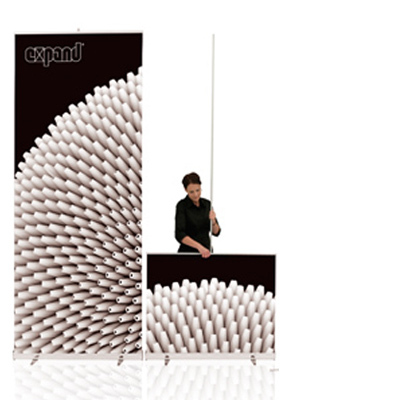 You can easily combine several units together to create a large backdrop, using Expand's patented magnetic couplings located on the sides of the top profile. 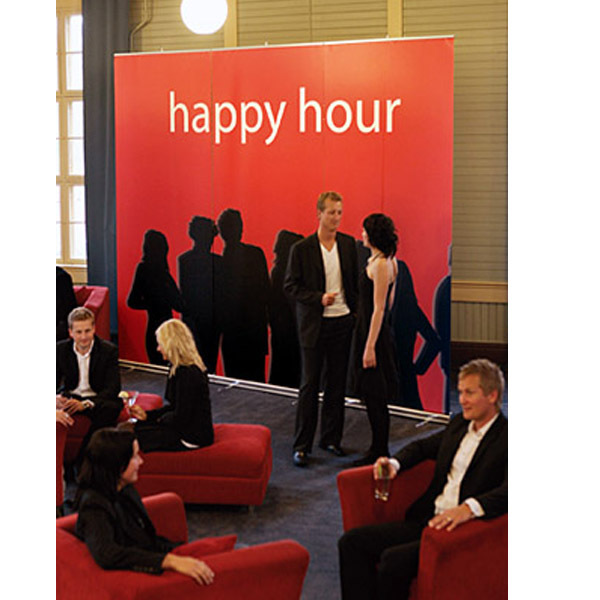 Expand QuickScreen XL is perfect as a backdrop when your message needs to be seen from a distance. 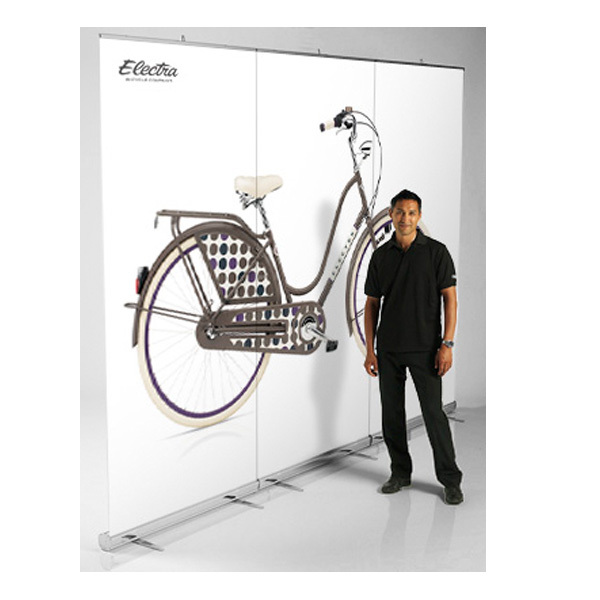 You can also easily create an even larger image by linking two or more displays, thanks to a magnetic connector in the top profile. 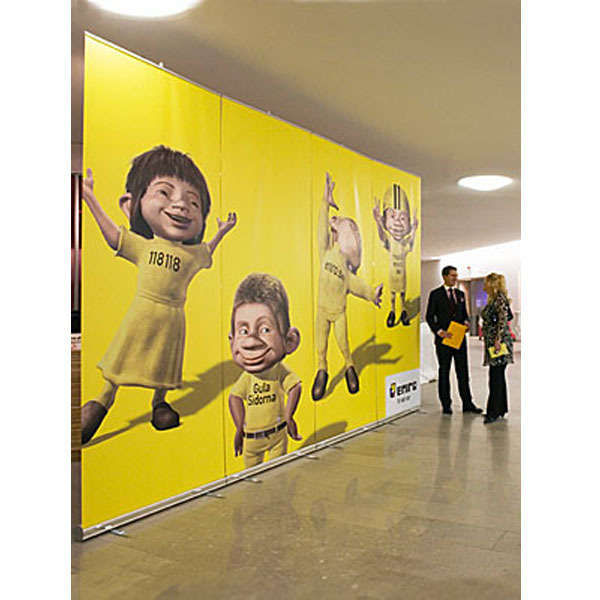 Three displays, for example, provide an image that is 3.6 metres wide and up to 3 metres high. 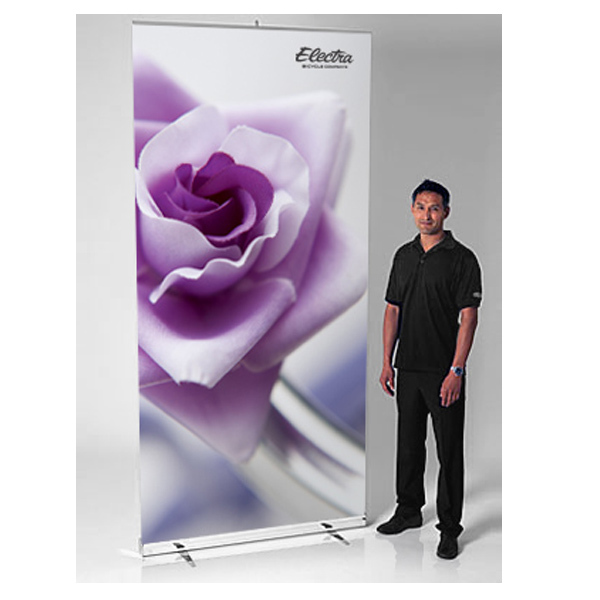 Fast and easy to set-up.